Econet Media-owned pay TV platform Kwesé TV has entered into an agreement with mobile operator MTN Nigeria to sell its decoders throughout Nigeria. This collaboration brings Kwesé TV closer to Nigerians, ensuring that costumers who would like to purchase Kwesé TV decoders or packages can do so at any MTN store. There are MTN stores located in Y’ello City Service Centre, Ikeja Service Centre, Palm Connect and Matori Service Centre. The Kwesé TV kit, comprising a dish, decoder and installation services, retail at N10,960. Customers can also get two months’ free subscription this Yuletide season if they pay an additional N1,590 before December 31. Commenting on the partnership, Elizabeth Amkpa, general manager of Kwesé TV, stated: “Following the recent launch of our pay TV service in Nigeria, this partnership extends our distribution network and makes our products accessible to even more Nigerian consumers. Amkpa also announced that the partnership goes beyond having Kwesé TV decoders at MTN stores as it extends to offering Kwesé TV as mobile video content to MTN subscribers exclusively as part of a video data bundle. 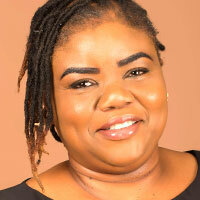 Onyinye Ikenna-Emeka, general manager of enterprise marketing at MTN Nigeria, added: “We are working with Nigeria’s newest pay TV provider to offer premium TV and video content to our consumers. Kwesé TV offers premium content of more than 70 channels with a diverse mix of news, entertainment, kids programmes, movies and live sports. Kwesé TV also offers its services on-the-go via the Kwesé TV app.